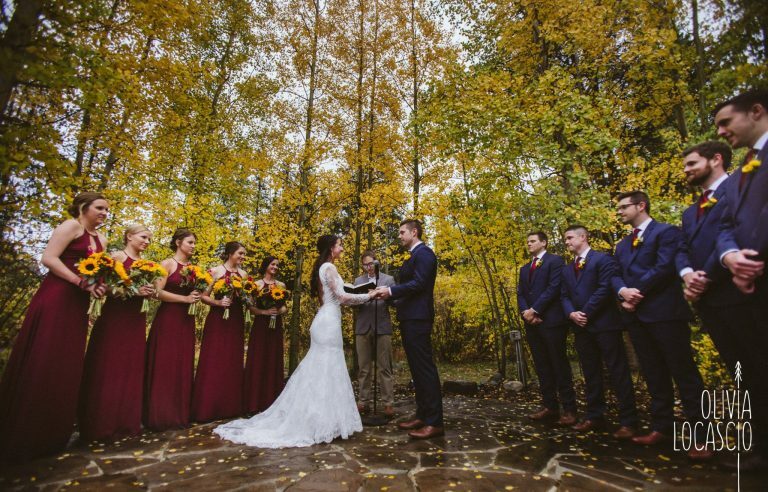 Warren Station Weddings at Keystone Resort offers an affordable mountainside wedding venue that captures all the charm and atmosphere that brides and grooms are looking for when hosting a Colorado wedding. Most noteworthy, Warren Station at Keystone is conveniently tucked in the heart of the resort’s charming, River Run Village, just steps away from a variety of lodging and Rocky Mountain adventures. Quaking Aspen Amphitheater is a romantic wedding ceremony location near the North Fork of the Snake River, just below Warren Station. Natural features like seasonal wildflowers, aspen trees and alpine landscapes create the ultimate backdrop as brides make their memorable entrance over the Springs Bridge. Finally, our Warren Station Wedding team is dedicated to making sure you and your guests experience a perfect Colorado wedding. See our online ratings below. Reserve Warren Station now for 2019 – peak dates are booking fast! 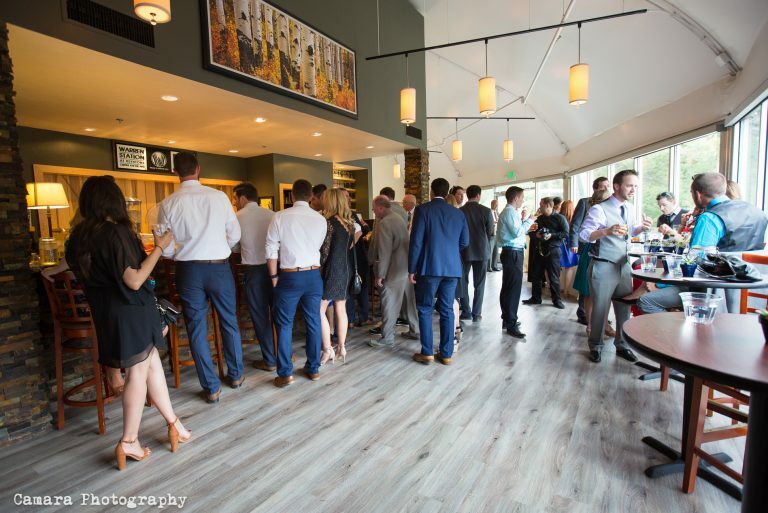 Contact us for a site tour at weddings@warrenstation.com or call (970) 423-8992. Warren Station Center for the Arts at Keystone, the perfect day in the perfect setting. Scroll for pictures of both winter and summer mountain weddings. 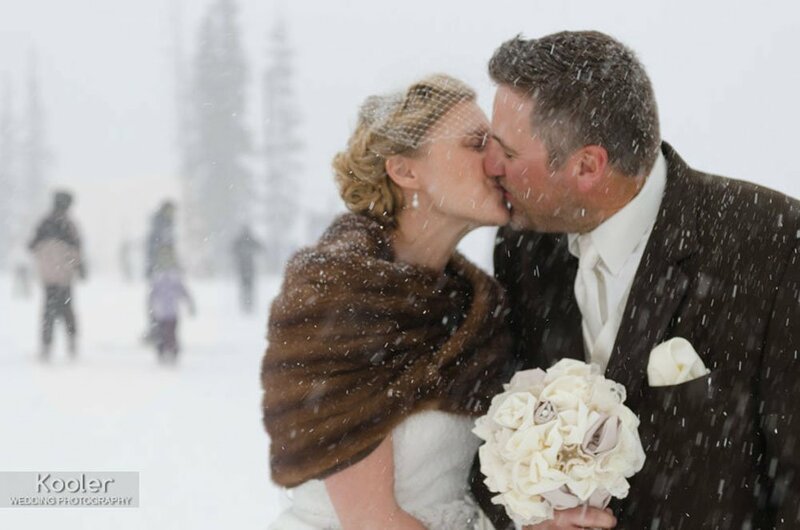 Read here about why Warren Station is the best mountain wedding venue at Keystone. 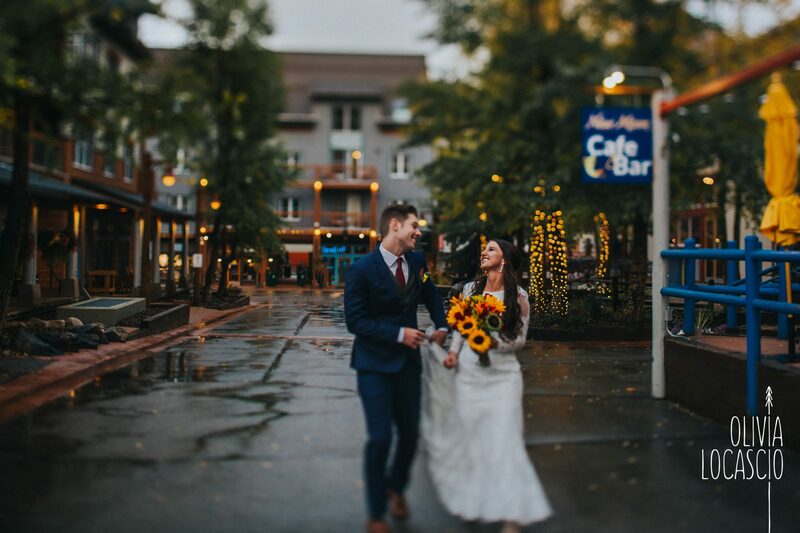 Host your Warren Station wedding during the warmer months and your guests can enjoy all that a Rocky Mountain summer has to offer. Wedding guests can enjoy Keystone’s award winning mountain bike trails and scenic hikes. Warren Station is situated in the quaint River Run Village at Keystone that during the summer months is overflowing with seasonal flowers alongside bustling shops and restaurants. This activity is just steps from mountainside lodging for your guests to enjoy. A winter wedding at Warren Station means a party to remember. Enjoy a day at Keystone Resort skiing and riding followed by a romantic sleigh ride dinner or mountaintop experience at one of Keystone’s top rated restaurants. The snowy setting creates a cozy backdrop for a mountainside ceremony and reception. 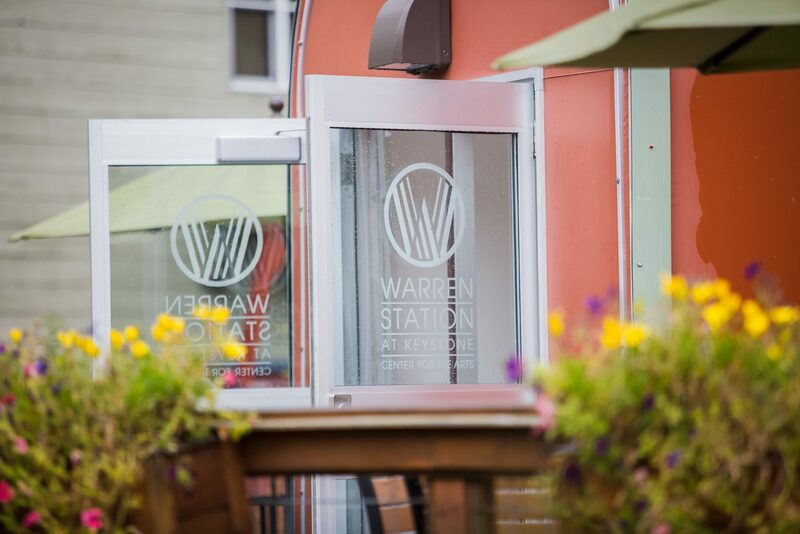 Warren Station was constructed with a gorgeous, outdoor patio surrounded by seasonal flower baskets, wooden deck furnishings and is adjacent to the gorgeous Snake River. In temperate weather, the area can be incorporated into your wedding or event and is an extraordinary location for a cocktail reception. The Warren Station welcome lobby is fresh and inviting with large, open glass windows so your guests can experience the unparalleled views of the Keystone Resort mountainside and River Run Village. Granite countertops, stone pillars and earth tones complement our two-sided, bar service area. 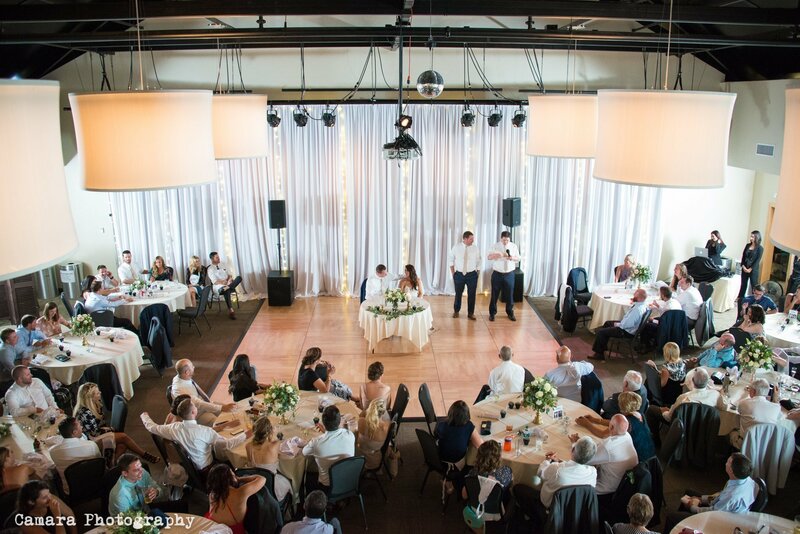 The Warren Station ballroom has a sleek and contemporary ambiance. Stunning lighting features and neutral elements combine with modern appeal, making the room an interchangeable canvas for your mountain wedding or event. A romantic location near the North Fork of the Snake River, just below Warren Station. Natural features like seasonal wildflowers, aspen trees and alpine landscapes create the ultimate backdrop as brides make their memorable entrance over the Springs bridge. 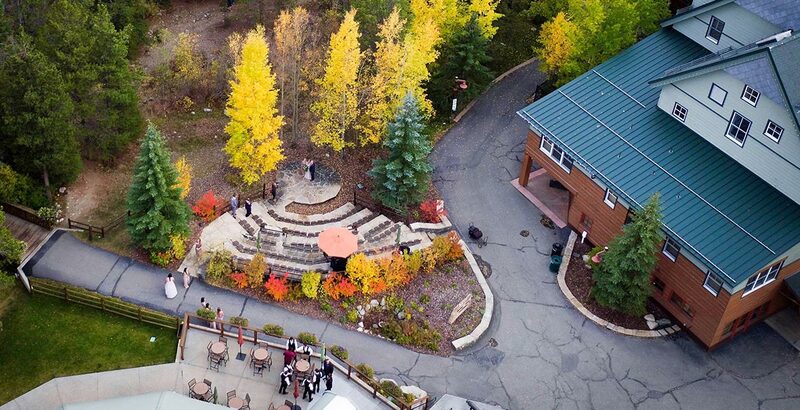 Quaking Aspen Amphitheater is only available to groups who use Warren Station for their wedding. At Warren Station, we recommend using vendors from our preferred list however you may use any licensed, caterer you desire.